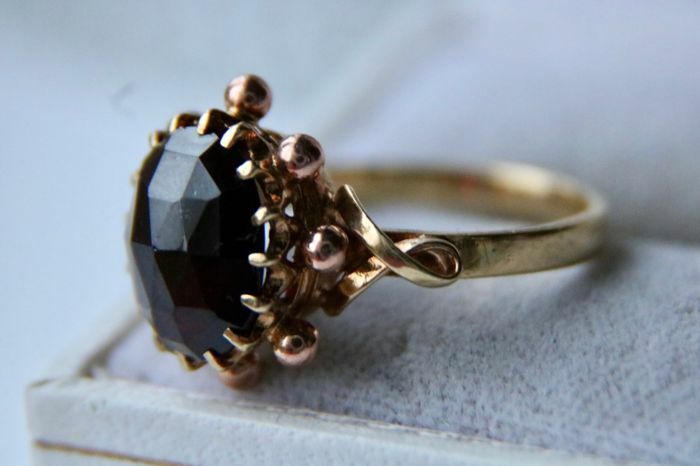 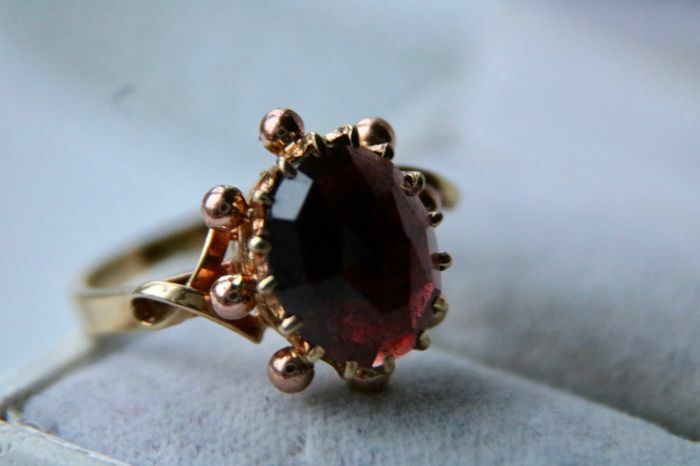 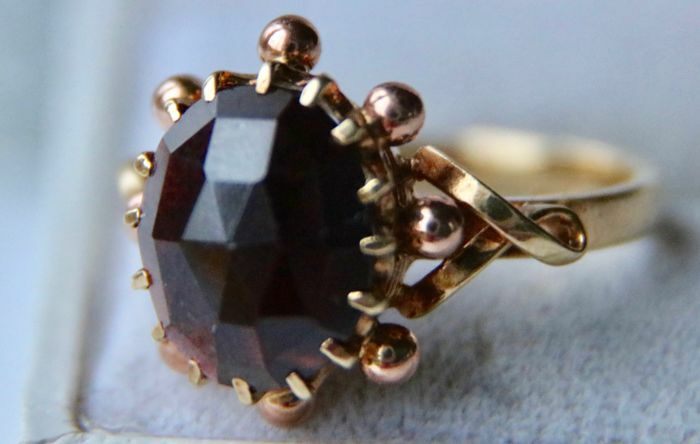 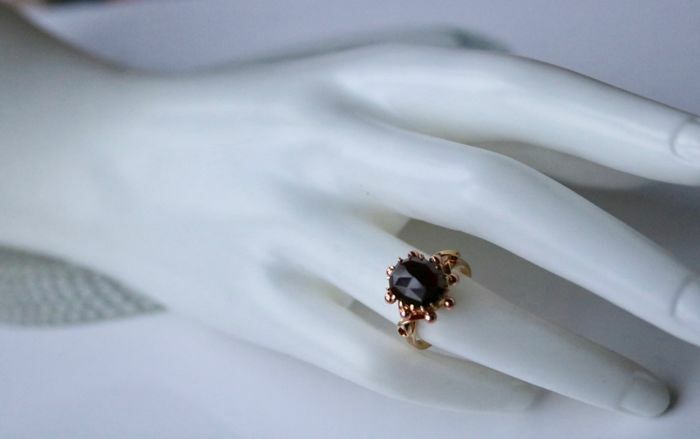 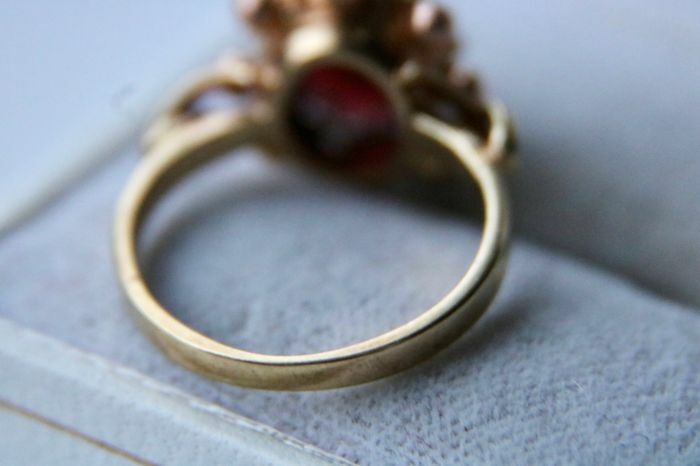 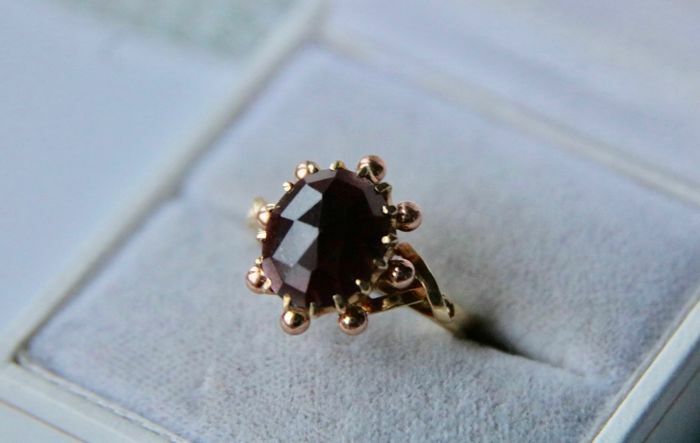 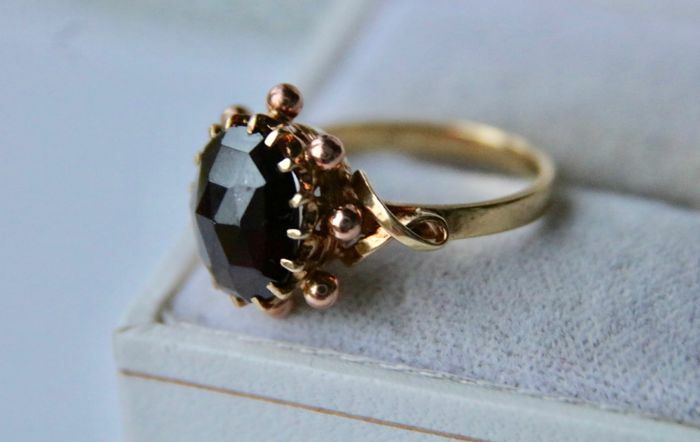 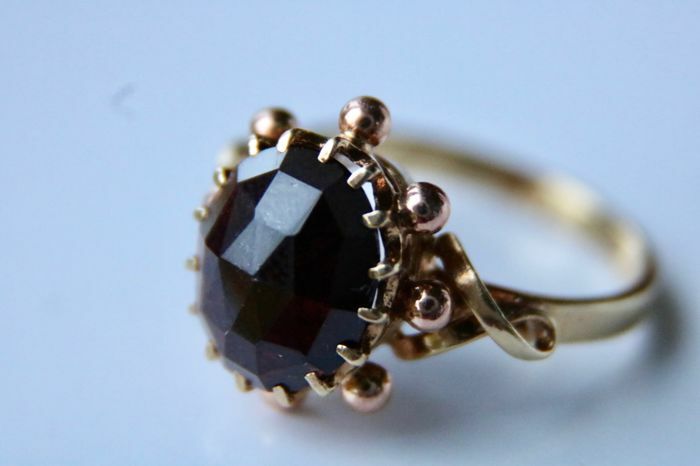 An antique 14Kt gold ring set with a 2,41ct rose cut Garnet, the outer edge is extra extended and prolonged with gold balls in rose gold that give it a floral effect, the shoulders are also extra covered. Please check all the pictures, they will provide the best visual representation of the current condition. 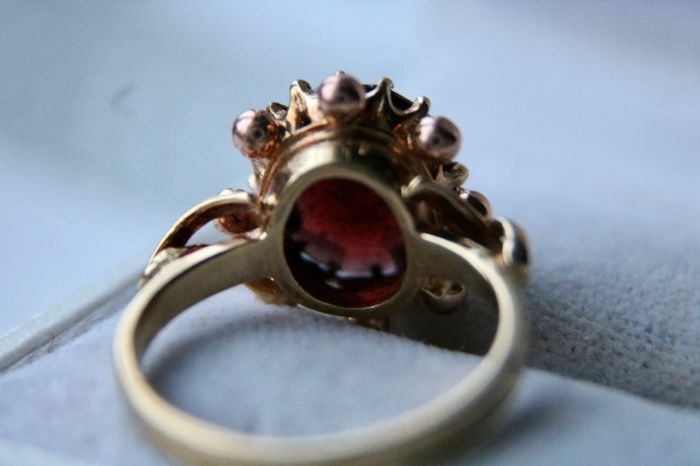 Condition: Excellent condition for a antique item, no damages.